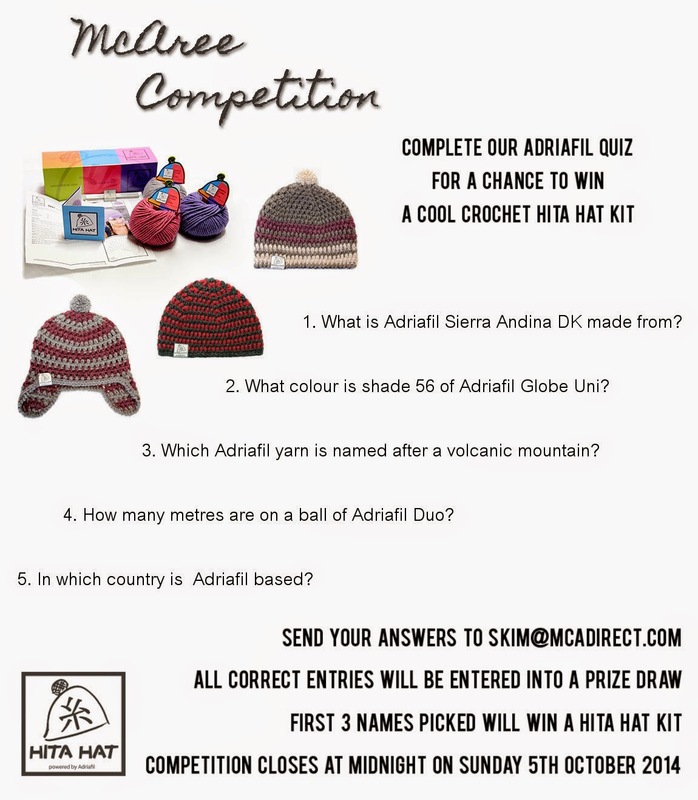 To celebrate the recent arrival of our Hita Hat patterns by Adriafil﻿, we are running another competition. We've got 3 Hita Hat Crochet Kits to give away, so don't miss out! Each kit contains everything you need to make a cool crochet hat including the yarn, hook, pattern, and a Hita Hat label to give it that professional finish. All you have to do is fill in our simple Adriafil quiz below and send your answers to skim@mcadirect.com. All correct entries will go into a prize draw, and the first 3 names to be pick will win a Hita Hat Kit. Our competition closes at midnight on Sunday 5th October 2014, so don't be late! 1. What is Adriafil Sierra Andina DK made from? 2. What colour is shade 56 of Adriafil Globe Uni? 3. Which Adriafil yarn is named after a volcanic mountain? 4. How many metres are on a ball of Adriafil Duo? 5. In which country is Adriafil based?